However, liquid paraffin is a term reserved for highly-refined mineral oil that is suitable for skin care products applications and even for oral ingestion. This is an important distinction, because some skin care experts who express concern about liquid paraffin may be inadvertently referring to non-medical-grade mineral oil, which has not been properly purified for use in skin products. Because of these presumed moisturizing properties, this ingredient oil is also a common addition to eczema creams. Eczema is believed to flare up due to lack of moisture, and by fortifying the natural moisture barrier, liquid paraffin may be able to reduce symptoms of this skin condition. But the big question is; does a cream that creates a feeling of moisture because of liquid paraffin actually moisturize the skin? And also; if this ingredient is so good for the skin, why do some eczema sufferers seem to experience an exacerbation of symptoms when using creams with this chemical? One of the criticisms of liquid paraffin is that it doesn’t actually moisturize the skin. 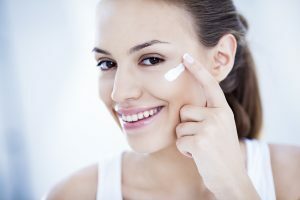 It’s certainly important to reinforce the skin’s natural moisture barrier, but many skin care experts suggest that the feeling of moisture isn’t real. 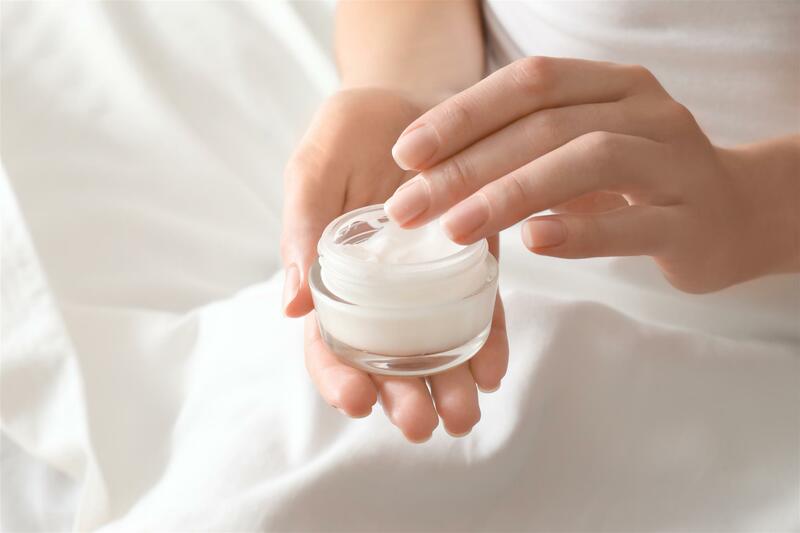 After someone uses a cream with liquid paraffin, the soft, silky sensation on the skin is that of mineral oil on the surface, and not of the actual skin texture. The skin is simply covered with something that feels soft! Therefore, some argue that the moisturizing effects of liquid paraffin are simply a sensory illusion! For example, another way to achieve a sensation of soft skin is to grab a little bit of baking soda, mix it with water to create a paste, and then rub the hands together with the rough particles scrubbing against the skin. After the paste is washed off, the hands will feel incredibly soft to the touch. After a few hours, however, this sensation fades. The reason behind this is the temporary sensation created at the tips of the fingers by the rubbing of rough particles – everything else starts to feel comparatively soft! But just because the skin feels softer, that doesn’t mean it actually IS softer. The same argument can be made for liquid paraffin. The bigger danger, however, is that liquid paraffin may cause breakouts in some individuals. For example, some skin experts suggest that this ingredient can clog pores and promote the development of comedonal acne. Although the research on this topic is still inconclusive, individuals with a history of severe acne may want to avoid products with liquid paraffin, as a safety precaution. There are many products on the market that contain liquid paraffin, including diaper cream, foot moisturizer, and cosmetics, among others. Because of the widespread use of this chemical, those concerned with possible side effects should carefully inspect product labels of all skin care products before purchase, and to look for the alternate name “mineral oil” as well. To avoid serious side effects from liquid paraffin, it’s a good idea to discuss this ingredient in detail with a dermatologist. Medicinal liquid paraffin, also known as paraffinum liquidum, is a very highly refined mineral oil used in cosmetics and for medical purposes. … The cosmetic or medicinal liquid paraffin should not be confused with the paraffin (or kerosene) used as a fuel. To say that anything to do with crude oil is bad for your skin or ingestion is an ignorant statement. Everything in life is made up of elements and compounds that is shared by anything from rocks to human beings. Sometimes nature can make small changes to these compounds to make something safe to eat where it was previously poisonous. An example of this would be the nightshade or Bella Donna plant that produces a berry that is poisonous when green, but totally safe for consumption when ripe. Scientists, chemists and chemical engineers will often take one thing and turn it into something else, or extract one thing from another to create something new that may have a complete opposite effect to the thing (plant, element etc) that it was created from. I’m not saying that paraffin is good or bad for you, all I’m saying is that just because it’s a petroleum based product does not automatically make it bad for you. Liquid Parafin is a PETROLEUM PRODUCT – period !!! Anything to do with Crude Oil or Petroleum, you would like to put it on skin or take it orally ?? Be my guest and I will teach you 100 things about petroleum products and their side effects. Don’t ever TOUCH or intake anything orally the products which are marked with this dreadful ingredient. There is a very good natural ingredient called Lavender Oil which heals the chaffed skin and allows moisture from nature to come through, secondly, keep plants indoors and fill them with water trough around, so that constant moisture is radiated around where you live or spend most of your time.